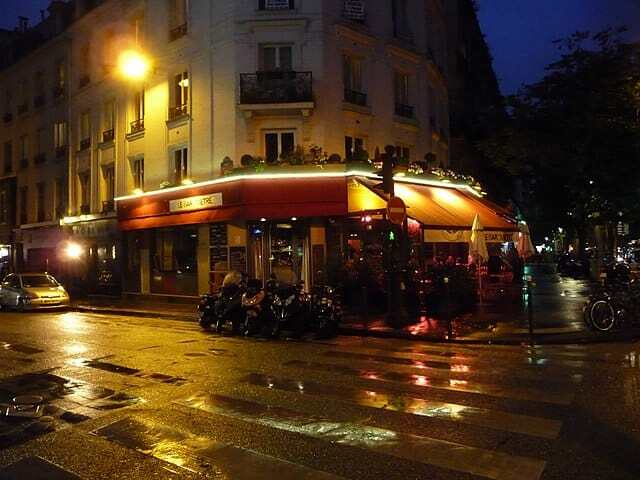 Oberkampf is a neighborhood known to Parisians as a Bobo hang out. What does Bobo mean, you may be asking yourselves?! Bobo is basically the French version of a “hipster”, and comes from combining the French words bourgeois and bohème. Bourgeois means someone who comes from the middle class, and bohème means someone who has quite a bit of money, but has a liberal or artsy lifestyle. Put the two together, and you’ve got your classic Parisian hipster! Some people find this term a bit insulting, so just be careful how you use it and to whom. Anyways, now that you’ve had your French lesson the day, let’s get back to Oberkampf! Known as the hipster paradise of Paris, the area is the perfect place to spend an evening out with friends. I’ve spent many weekends in the bars and restaurants in the neighborhood, and the ambiance is warm and convivial. Like many, if not all, Parisan neighborhoods, there is a lot to learn from this spot in the 11th arrondissement. Keep reading for my 5 best things to learn from Oberkampf! 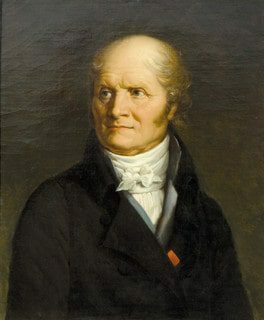 Christophe-Philippe Oberkampf was a German entrepreneur and manufacturer that eventually became a naturalized French citizen who lived in Paris in the late 18th and 19th centuries. 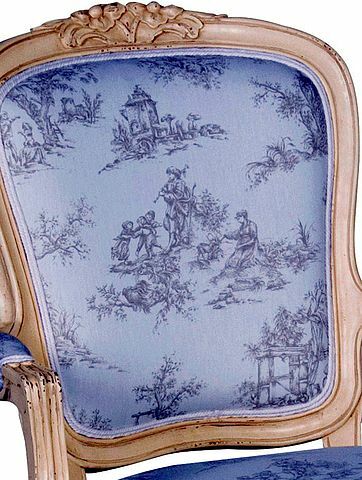 Oberkampf is most famous for his creation of the toile de Jouy, a type of cotton print that is recognizable to this day! Oberkampf utilized the newly invented use of copper plates in order to make patterns on fabric through an engraving process. While Oberkampf did not come up with this process himself, the introduction of it into his manufacturing process changed everything for his company, and revolutionalized his production. Oberkampf was so good at what he did, that in 1783, King Louis XVI of France gave him the title of “royal manufacturer”. 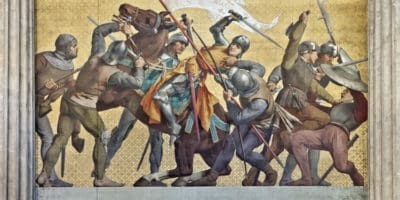 Soon after, in 1785, Oberkampf invented the first machine that could print wallpaper, meaning that his toile could be mass printed and placed in homes! In 1806, Oberkampf was even awarded a gold metal at the Louvre’s industrial fair for the part he played in the manufacturing of his product! Another fun fact about Oberkampf, is that his daughter Émilie was a pioneer for the concept of a nursery school in France! It should come as no surprise then, that a neighborhood in Paris is named for Mr. Oberkampf. 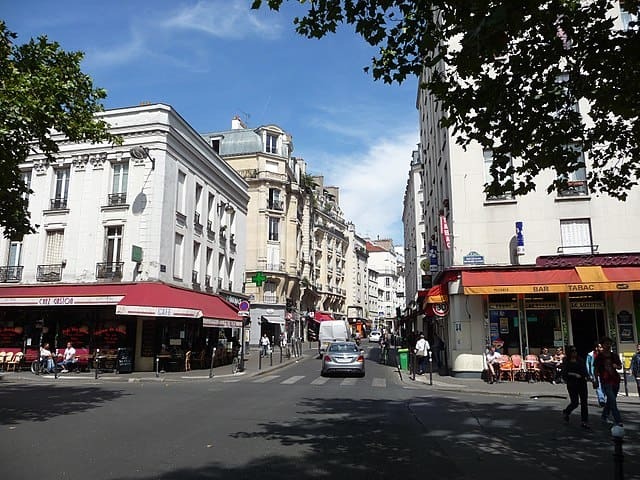 Areas in Paris like the 4th, 5th, or 7th arrondissements are really beautiful, but if you ask many Parisians if they’d like to live there, they would quickly say non. 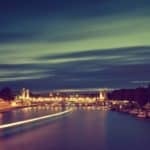 These neighborhoods tend to be ideal for families, but if you’re looking for a bit of nightlife where you live, they can be a bit boring! Enter: Oberkampf. 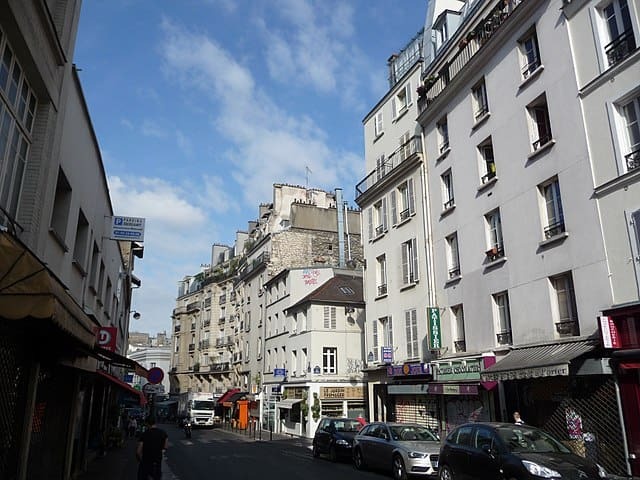 In the late 1990s, the area exploded as the latest place to hang out for Parisians. Like most large cities, Paris residents are always looking for the newest and coolest place to be. Until the nineties, Oberkampf was a place where working class people worked and lived. This attracted artists and writers who wanted to experience the real Paris, not the stuffy parts of the city center. Today, as I mentioned, Oberkampf is a place filled with hipsters and well-off artists. Like places like Brooklyn in New York, or Notting Hill in London, this tends to happen to working-class-turned-trendy areas as time goes on. But, you’ll still find people of the working class here, which makes for a good mix of people from all backgrounds. 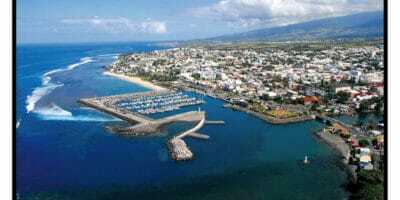 Different ethnicities have also made Oberkampf their home, meaning there are plenty of interesting options of restaurants and bars to choose from as well. 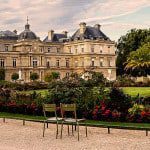 Paris is a metropolitan and cosmopolitan city, and exploring the outer arrondissements will really make you realize this! 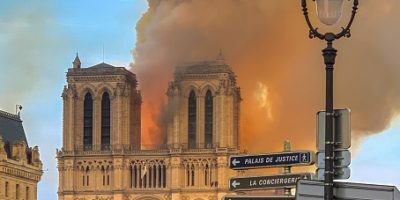 I had friends from the States visiting in Paris a few months ago, and when they asked me for suggestions of where to stay, I immediately suggested Oberkampf! 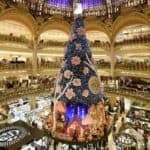 With it’s innumerable options for bars and restaurants, it’s great semi-central location, and it’s good vibes in general, it is an excellent choice for where to stay in Paris. 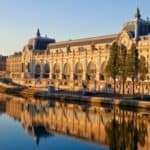 It is located near the Place de la République, Père Lachaise cemetery, the Canal Saint-Martin, the Arts et Métiers museum, and is not too far from Le Marais! Talk about a lot of choices! In addition to this, the prices for hotels or Airbnb in the area are not very high, and it is also a popular place to live for students. 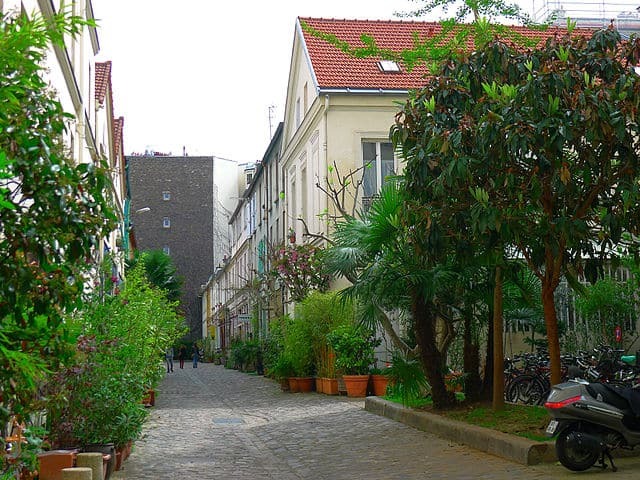 If you are looking for a place to stay in the city that is not very far from all of the major sites, where you’ll also get a vibe like you’re living like a real Parisian, I suggest you head to Oberkampf! 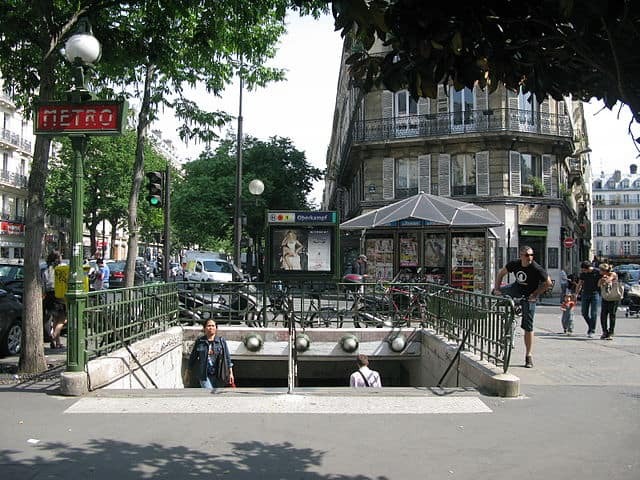 As I mentioned, Oberkampf is located just a few short minutes walk away from the Place de la République. If you’re anything like me, and you love history, you’ll love checking out République. 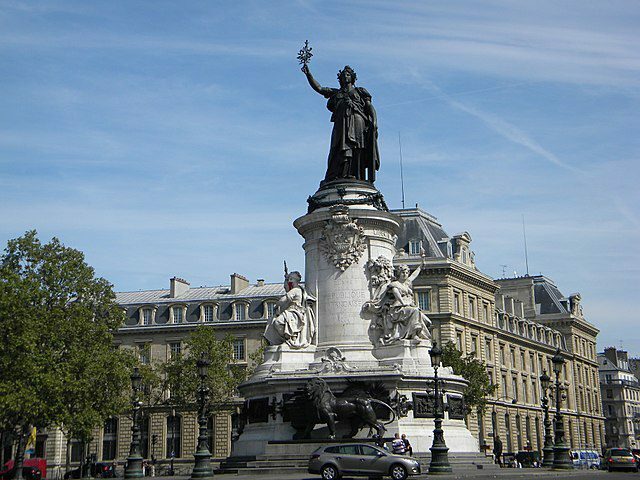 There is a massive statue in the center of the place of Marianne, who is the personification of the country of France. In the right hand of Marianne is a tablet which features the Droits de l’homme, or in other words, “the Declaration of the Rights of Man and of the Citizen”. Because of this representation, the Place de la République is often a place of protests and marches. The monument was erected for a 1879 art competition which called for a monument that represented the French Republic, to honor the 90th anniversary of the French Revolution. The streets surrounding the place are filled with bars, restaurants, and boutiques perfect for shopping. One of my favorite vintage stores, the Croix-Rouge, is located on a side street off of the place as well! The place is just next door to Oberkampf, so definitely go and check it out! While Paris is home to major museums such as the Louvre and the Musée d’Orsay, there is plenty of art to be seen, just by wandering the streets! Head to Le Mur Oberkampf, located at 107 Rue Oberkampf, to see a massive graffiti mural that changes once or twice a month. 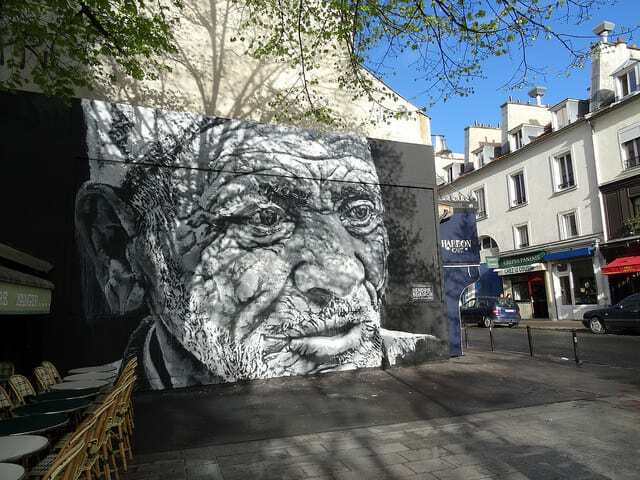 The mur is a part of a project aimed to promote urban art in Paris. There are also many side street passageways located in the Oberkampf area, that are the perfect place to snap pictures. The cité Durmar and the cité du Figuier are just a few of the passageways that are open to the public. Take a stroll down one of these passageways, and I swear you’ll feel like you’re in a quiet world separate from the bustling streets of Paris. There is also the Paupincourt village, which features antique shops with old shop windows, another great place to take photos! 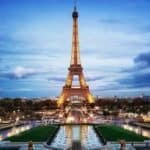 Paris is a relatively small city in comparison to it’s New York or London counterparts, but that doesn’t mean there is a shortage of places to explore and things to see. I’ve lived here for quite a while now, and I still feel like I’m constantly discovering new areas! Enjoy an afternoon and evening in Oberkampf, and knock this area off your list of things to-do!